Putting more emphasis on protecting users’ personal information, Apple’s App Store will soon require new and newly updated apps to include privacy policies. “Protecting user privacy is paramount in the Apple ecosystem, and you should use care when handling personal data to ensure you’ve complied with privacy best practices, applicable laws and the terms of the Apple Developer Program License Agreement,” Apple’s App Store guidelines warns. Developers should also be ready to identify any user data that their apps collect, how they collect such data, and how they use it. They will need to confirm that any third parties with whom they share user data can provide the same or equal protections stated in their own privacy policies. Among other potential third parties, that includes analytics tools, ad networks, and third party SDKs, as well as parent companies or subsidiaries. In addition, developers will have to explain their data retention and deletion policies, as well as describe how users can revoke consent or request deletion of their data. The changes follow failures by Apple, Facebook, and other tech titans to protect user privacy. In the wake of Facebook’s Cambridge Analytica controversy, Apple determined that its developer agreements left it exposed to a major data mishap. In response, the company updated its App Store guidelines to limit developers’ access to user information. Among other changes, Apple made it harder for developers do what they pleased with the personal contacts of iPhone owners. Hotels.com is the most-used travel site, according to Adthena. The AI and machine learning-powered search intelligence company polled 600 U.S. consumers ages 18 and older on how they search for travel options online. 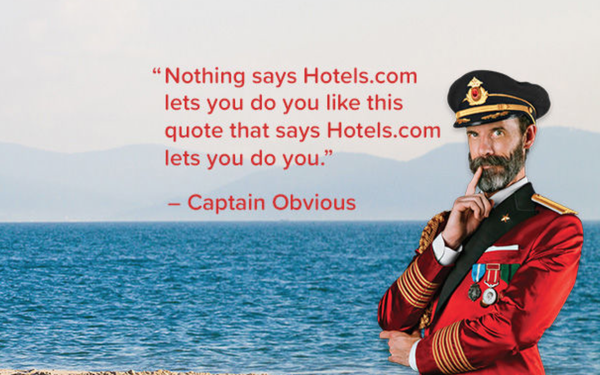 Hotels.com (40%), Trivago (34%) and Booking.com (34%) were the most cited. Kayak (24%) and Cheapflights (21%) were used less by summer travelers. “Travel year-round is one of the hottest areas in search to follow, and hotels are obviously one of the biggest items on travel itineraries,” says Ashley Fletcher, vice president of marketing, Adthena, in a release. Most travelers (54%) conduct travel searches on desktop versus just 20% who use mobile devices. Moreover, 26% of respondents said that they used mobile and desktops equally. More than a third (37%) said hotels were their top search, followed by local attractions (27%) and airline flights (25%). An overwhelming majority of respondents (78%) say pricing and deals are the determining factors in making buying decisions when doing travel research via search. Only a minority cite the brand or loyalty programs as a deciding factor. Nearly 80% of those surveyed say they have used search engines when planning for their summer travel, with 32% saying that they typically do four or more searches during their travel prep. Additionally, 46% of respondents spend at least “a few days” using search engines before making travel bookings. More than three-quarters of respondents (76%) say that they have made purchases for summer travel via paid search ads, with 17% of respondents saying that they buy from paid search ads “very often.” In addition, 51% of respondents said that paid search ads were either “very helpful” or “somewhat helpful” when planning their summer travel. Performance-marketing agency Merkle released its Q2 2018 Digital Marketing Report (DMR) on July 19, analyzing trends across paid and organic search, social media and display. The data provides insights into trends across Amazon, Bing, Google, Instagram, Facebook and Yahoo. Marketers spent more on Sponsored Products ads -- up 165% -- during the second quarter of 2018. This ad group continues to account for the majority of Amazon search investment, taking 88% spend share in the second quarter. While Sponsored Products took the majority of ad spend in the quarter, the amount spent on Headline Search Ads also rose, up 162% year-over-year (YoY). Analyzing advertising bids on both formats, Sponsored Products and Headline Search Ads clicks convert at more than three times the rate of Google Shopping ad clicks, according to the report. The report also calls out many advertisers on Google Shopping that do not sell on Amazon and thus do not bid on Amazon’s ad formats, while some Amazon sellers don’t sell through Google Shopping. It’s also important to note that the CTR for Amazon Sponsored Products comes out to less than half that of Google Shopping. Merkle attributes this largely to the presence of Headline Search Ads at the top of Amazon search results, which Sponsored Products also serves up. Google Shopping ads compete with text ads for clicks, but typically serve above text ads when both formats appear. Headline Search Ads CTR was 42% higher than Google Shopping in the second quarter of 2018. Spending on Google Shopping ads rose 31% in the quarter -- more than five times the rate of growth for Google text ads. While Google text ad spending growth improved by 6% -- up from 4% sequentially -- the rate remains well below the levels seen throughout 2017. This column was previously published in the Search Insider on July 19, 2018. For most of us, it’s a great time to be a marketer. Never before have we had such a broad range of sophisticated tools at our disposal: AI, machine learning, big data, mobile and a martech stack most of us never dreamt would exist. We have at our fingertips a treasure trove of data to determine how to best communicate with an increasingly connected public. Customers, meanwhile, are hearing from brands in ways that are much more specific to their unique wants and needs. Contextual relevance for buyers certainly does equal value for businesses, and “customer first” has become a prevalent rally cry across corporations. It feels like a win-win. Yet in this era where data and technology have brought great refinement in our abilities to target contextually relevant messaging, the demand for quality content (and the legitimacy of genuine storytelling) is more pronounced than ever. While it’s worth celebrating this progress, it’s also worth acknowledging that it isn’t all roses. For more creatively inclined team members, the pivot from “art” to “science” can be overwhelming. I’ve seen this firsthand. The disconnect between our so-called artists and scientists can be profound as we make this shift to an increasingly data-driven marketing model. I am, admittedly, a strange hybrid myself: half creative and half an enthusiastic, self-acknowledged geek. And yet I learn something new every day about the balance we strike between big data and big creative. Creativity can often be the differentiator in a world obsessed with analytics. As marketing leaders, let’s not forget that people are at the core of a company’s performance -- nor that in this blossoming age of data science, the craft of precise creative is even more important than ever. Let’s evolve, but not lose the diversity of thought and ideation that yields the very best results in our teams. Let’s train and teach and collaborate while striking the necessary balance of our artists and scientists within marketing. Let’s make it a great time for all marketers -- and, in turn, our customers. 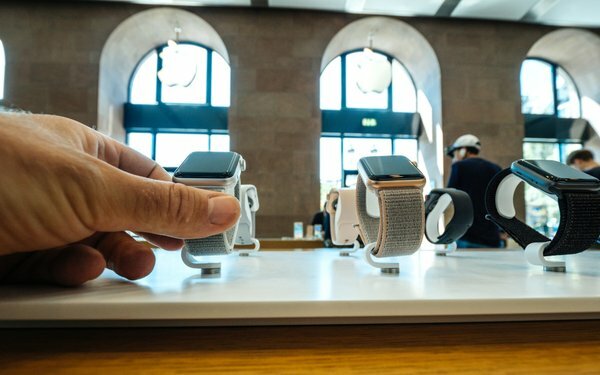 Bolstered by the Apple Watch, smartwatch shipments grew 37% for the second quarter, according to the latest Counterpoint global smartwatch tracker. Apple retained its market lead, accounting for 41% of the market, according to the year-over-year figures. Market share for Fitbit grew from 8% to 21% for the quarter. Proprietary platforms continue to dominate in smartwatches, with Apple, Fitbit and Samsung using different versions of closed platforms, according to Counterpoint. GroupM media agency has appointed Jon Gittings executive vice president, strategy for North America. In this newly created role, Gittings will oversee Essence’s strategy teams across the company’s offices in New York, San Francisco, Los Angeles, Seattle, Chicago, and Toronto. The agency said Gittings would be part of the North American executive team ( led by NA CEO Steve Williams) and also work closely with the agency’s global strategy leadership team, including Essence co-founder and chief product officer Andrew Shebbeare and president, global strategy and analytics Simeon Duckworth. Gittings joins Essence from sibling GroupM agency MediaCom where he has spent the last four-plus years, most recently as chief strategy officer for the Americas, and previously as global business development strategy officer. Prior to joining GroupM and MediaCom in 2014, Gittings spent a decade and a half in senior and executive strategy and planning roles at OMD and Omnicom. Gittings joins Essence during a period of rapid growth for the agency which has expanded by more than 40% to nearly 1500 employees over the last 12 months. This includes the addition of more than 400 employees globally and 180 employees in North America since the start of the year. The agency has added significant new pieces of business during that time as well, including partnerships with Bayer and T-Mobile. Much of the growth follows a commitment last year by GroupM to expand Essence beyond its digital roots into a fuller-service agency with a wider geographical footprint providing both digital and traditional media services. Tweaks to existing deals and some new options mean football fans get their fill of live games -- even if they don't have a cable or satellite subscription. To paraphrase Mark Twain, the reports of TV’s demise are greatly exaggerated. In whatever form — broadcasting’s Big Four, Netflix, YouTube, Hulu, or Jeff Katzenberg’s NewTV — television is alive and well. Yes, cord-cutting is a reality. The viewing habits of millennials and Gen Z differ from baby boomers. Still, Americans watch a lot of linear TV. Even putting popular sitcoms or dramas aside, live sports draws millions of viewers. The billion-dollar fight for eyeballs surpasses Google and Facebook. Per Nielsen, adults spent 45 minutes/day on social networks and 25 minutes watching video on mobile. TV? That earned 4 hours and 46 minutes/day – up 21 minutes from February. True, the medium, in content and ownership, is changing — all in a fight to survive. Earlier this month, shareholders from Disney and 21st Century Fox approved Disney’s $71 billion purchase of Fox’s film and television assets. Many analysts assumed the deal was to shore up Disney’s competition with powerhouse Netflix. To keep subscribers, Netflix depends on engaging content. Disney wants to stop the supply on its end. By keeping Fox’s inventory, it will keep its cross-demo audiences. If Disney wants to stream Fox shows, it will do so on its own subscription VOD services. Separately, movie-wise, Disney can proceed with Fox’s four “Avatar” sequels, which boast mass appeal. And which will, inevitably, reappear on TV. This is not to suggest there isn’t cause for concern. Experts forecast a 64% increase in cord-cutters in the next three years. But it’s also true television provides a certain kind of escapism. Viewers watch news, shows or sports without searching. Conversely, one can spent 20 minutes just trying to decide what to watch on digital. Video killed the radio star, but TV is harder to kill than print. Employing virtual reality is an increasingly popular way that brands are heightening their consumer engagement. The technology not only provides the potential for immersive and interactive content, but also allows for customization of the relevant product or service to the business’ target consumer. 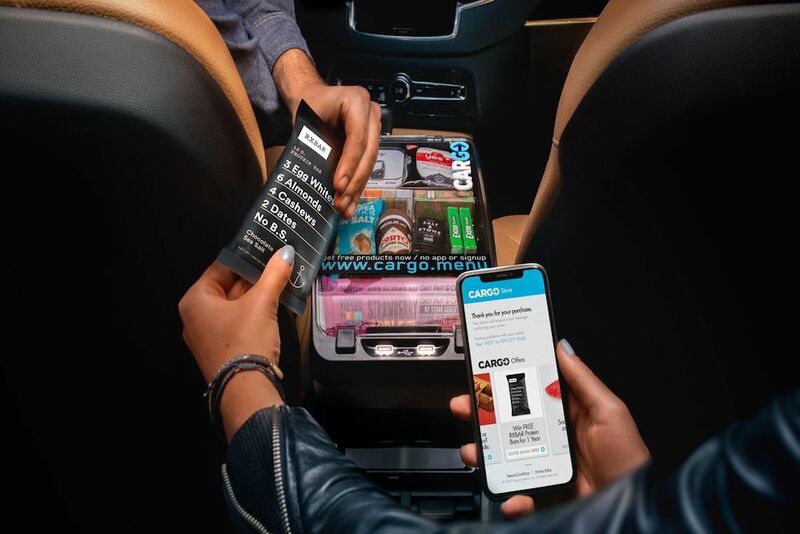 In-car commerce platform Cargo teamed up with snack delivery service SnackNation and Snapchat to allow riders to shop for products during their ride using snapcodes on cargo boxes. Using the Snapchat app, rides scan the snapcode on the cargo box to access Cargo’s mobile menu. Then, riders enter their driver’s unique box code, which is found on the in-car box, to browse through the selection of products, select their desired items, and checkout via mobile wallet or credit card. Once the ride is complete, the driver hands the product or products to the rider. Riders can also order from a selection of complementary and retail products from partnered brands. Confectionary brand Hershey partnered with convenience retailer GoPuff to create a virtual reality app that lets users navigate through an immersive virtual environment for different snacks for purchase. GoPuff is a startup digital mobile alternative to convenience stores, particularly for the millennial and Gen Z demographics, and features a range of snack items, household goods and alcohol that customers can have delivered for a flat fee of $1.95. Hershey hopes that integrating its products with this service will allow it to meet its consumers’ need for instant snack gratification as well as take its brand experience to the next level via entertaining and immersive virtual shopping. This was just a snapshot of the creative ways brands are enabling consumers the convenience of anywhere purchasing through mobile and virtual reality interfaces. For more example, see PSFK’s report Applying VR & AR To CPG Retail. Speeds as in roughly 50 times faster than the current 4G mobile speeds. Verizon already announced it is rolling out 5G residential internet service in four U.S. markets this year, AT&T plans some 5G services later this year and Vodafone is planning 5G trials in seven U.K cities. There are many market moves relating to 5G. Samsung recently announced a plan to invest $22 billion in 5G development along with artificial intelligence and automotive technology and Qualcomm has introduced 5G antennas for higher-speed smartphones. The first commercial network launches of 5G, which will allow ultra-high definition video streaming, are expected to occur next year. By the end of next year, 1 million actives 5G connections are projected, with 90% being consumer connections for mobile broadband services, according to Juniper Research. More than a third (37%) of the connections are expected to be in the U.S. and 49% in the Far East and China. The new 5G speeds will be leveraged by sensors being added to everyday items including traditionally non-smart devices, such as appliances, devices, vehicles and smart homes and cities. The major beneficiary of 5G speeds will be automotive, accounting for 68% of all data generated by 5G IoT connections by 2025, according to Juniper. The second highest (30%) 5G IoT connections will come from smart cities, together accounting for 98% of all 5G IoT data. The new 5G speeds will be a total game-changer.